I went to bed late last night with a problem on my mind. It was still haunting me when I woke up this morning. Does this ever happen to you? Do you ever feel like a big dark cloud is following you from minute to minute? Before I could get out of the house, I got an urgent call from a friend who is going through a big problem. I listened and tried to be supportive, but I really didn’t have a lot of extra positive energy yet and I didn’t want to be on that call. I remembered something I read about choices. I could give in to my bad mood and hope it will pass on its own, thus sacrificing whatever portion of my day/week/life it will occupy; or I can look it in the eye and hopefully scare it away. I decided on the latter option. Like the monsters who lived under many of our beds when we were kids (mine was an alligator! ), when we turn on the light, the monster magically disappears. I know this, but gosh! It’s hard to do when you’re scared. To “turn on the light” on a ferocious, scary problem, there are 5 steps brave grown-ups can take. 1. Name it. A problem defined is half resolved. 2. Aloud or in writing, list every possible solution, however crazy or unlikely. Writing is better because it helps you create more options. 3. Imagine the Worst Case Scenario. Long ago, a guy named Dale Carnegie wrote a book called, “How to Stop Worrying and Start Living.” I learned this from his book. You imagine the very worst outcome. Usually, it’s not as bad as you think. Or it is at very least survivable – something you could eventually bounce back from. This helps you prepare yourself to be motivated to apply those solutions. 4. Force yourself to tell yourself a story (aloud). The story begins like this, “When I overcome this problem, my life will be…” Picture the positive, happy ending you’ll get when you apply your possible solutions, find the one(s) that works and get to the other side of this. 5. Realize that nothing last forever. 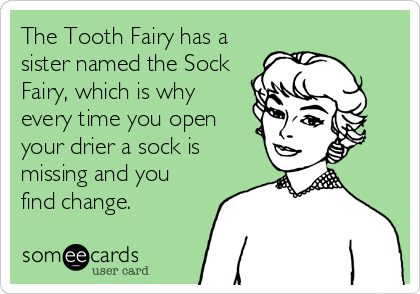 Being in a tumultuous situation in life is no different than being a wet sock in a dryer. Yeah, you get tumbled. Yeah, it’s hot. But eventually, it stops. You’ll feel warm and cozy then. Life is one long cycle. Going through this process took me nearly two long, fear-filled hours this morning. But you know what? I feel a whole lot better now. It’s time to get going on that big work project with renewed energy, drive and focus – and a way better mood. Posted in Depression, Managing Emotions by Wendy. How Do You Heal from Anguish? © 2019 Wendy Keller. All Rights Reserved. Legal Information. Sitemap. Login. Looking for Keller Media?